Key ingredients- flour, sugar, baking powder, and other ingredients as well. 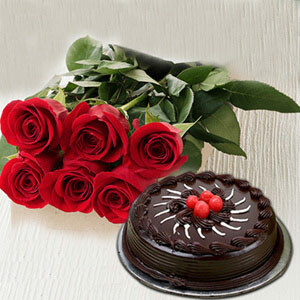 Ingredients of cake are of good quality and also the toppings and garnishing material used is of good quality. 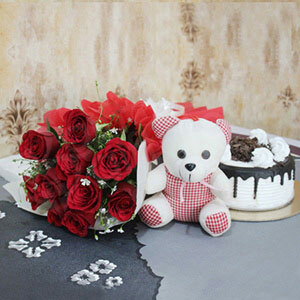 Cake stand is used only for photography; it is not included in the list of products. The green fillers used depend on the seasonal changes and their local availability. 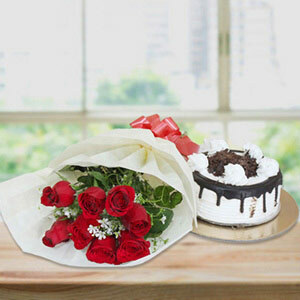 Gerbera are also known as the smart flowers, they developed a protection mechanism against fungal diseases. 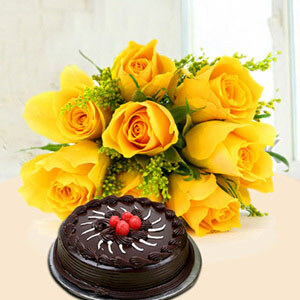 This beautiful combo of flowers and cake is definitely something that your loved ones will cherish forever. 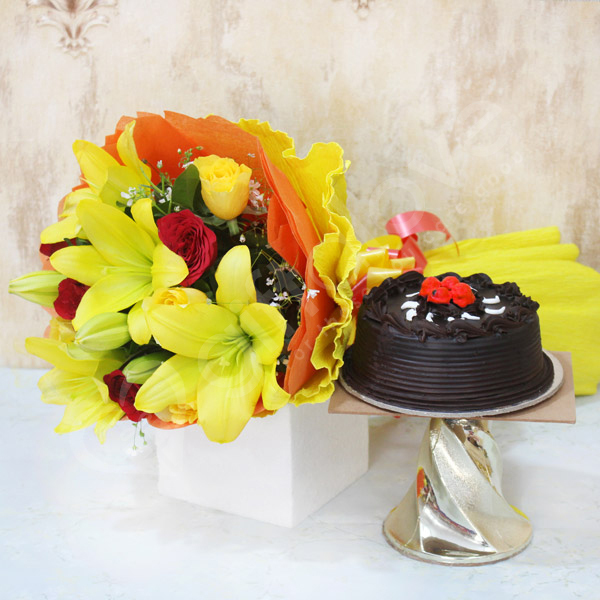 They will for sure appreciate the efforts taken by you and will also love the colour combination of the bouquet.